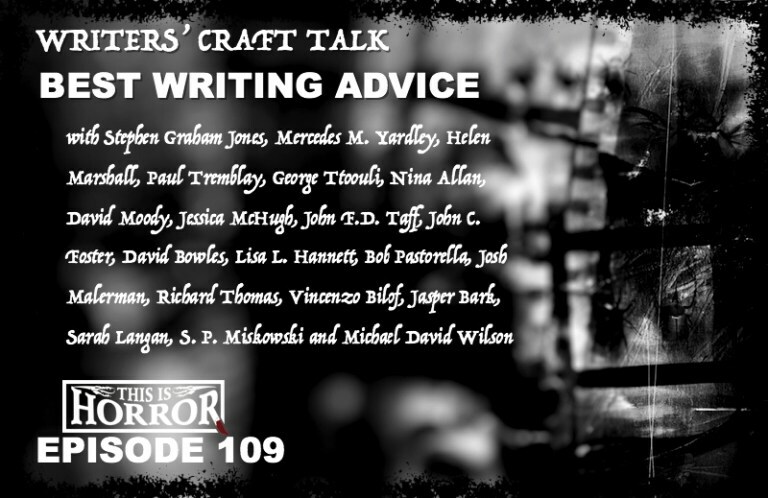 A little while ago, the cool folks over at This Is Horror asked me to say a few words on their podcast about the best writing advice I’d received (or heard or read) thus far in my career, and I was more than happy to oblige. Episode 109 has contributions from Stephen Graham Jones, Mercedes M. Yardley, Helen Marshall, Paul Tremblay, George Ttoouli, Nina Allan, David Moody, Jessica McHugh, John F.D. Taff, John C. Foster, David Bowles, Lisa L. Hannett, Bob Pastorella, Josh Malerman, Richard Thomas, Vincenzo Bilof, Jasper Bark, Sarah Langan, S. P. Miskowski and This Is Horror Podcast Host, Michael David Wilson. Show notes, author info, and links for further listening (including a reading I did of ‘Carousel’, the first story in Bluegrass Symphony) can all be found here. Enjoy! Tags: bluegrass symphony, bob pastorella, carousel, dark fantasy, david bowles, david moody, fiction, george Ttoouli, helen marshall, horror, jasper bark, jessica mchugh, john c. foster, john f.d. taff, josh malerman, mercedes m. yardley, michael david wilson, nina allan, paul tremblay, richard thomas, s.p. mikowski, sarah langan, stephen graham jones, vincenzo bilof, writing. Bookmark the permalink.